LA CENTER — Members of the La Center City Council met Tuesday night for a work session at which they discussed proposed changes to the tax policy regarding the two remaining card rooms in the city. The work session was the next step in a series of meetings and proposals that began last year to help support the two card rooms in La Center — which generate a significant portion of the city’s revenue — in the face of increased competition from the ilani casino and factors such as minimum wage increases and costs associated with the Affordable Care Act. In October 2017, a proposed ordinance that would have lowered the tax rate of the Last Frontier and Palace casinos from 10 percent to 5 percent for the last three months of the year failed because no council member seconded the motion to approve the plan. At Tuesday’s work session, financial consultant Paul Lewis presented information that detailed the financial situation of the two card rooms as well as outlined a plan for addressing the card room tax structure. While the 2017 tax revenue of $2,395,000 exceeded the city’s budget estimate by $465,000, the average monthly revenues for the card rooms from May to December of 2017 was approximately $850,000. Lewis said this figure matched the earnings for the same period in 2014. Lewis said that he estimated that changes mandated by state and federal law to wages and benefits could cost each card room approximately $500,000 a year or more. In the face of these changes, as well as the competition from the ilani Casino and a card room in Woodland, Lewis said that it would be advantageous for La Center if both card rooms remained open. During the work session, Lewis presented proposed changes to the city’s tax policy regarding the card rooms. The first change would alter the city’s gambling tax ordinance. It would specifically reference authorizing the mayor to sign agreements with each of the card rooms establishing tax structure changes for 2018 only. Further, the ordinance would change to reduce the late fees charged to the card rooms if a monthly tax payment is missed. Finally, it would clarify and reference state law that in the event of nonpayment, taxes are considered a priority lien against personal and real property that is used in the gambling trade by the card rooms. The La Center city council failed to vote on a proposed ordinance that would have temporarily reduced the gambling taxes paid by the Last Frontier and Palace casinos. If the proposal is accepted, it will also establish an agreement between the city and each of the card rooms enacting a sliding tax scale for monthly revenues in 2018. The current card room tax rate is 10 percent. Under the agreement, the tax rate would begin at 5 percent for revenues up to $400,000, increase to 7.5 percent for revenues from $400,001 to $700,000, then be 10 percent for $700,001 to $1,000,000, then 12.5 percent for $1,000,001 to $1,300,000 and finally cap at 15 percent for revenues exceeding $1,300,001. Further, the agreement would establish a 5 percent tax rate extending up to $800,000 in revenue for the months of April, May and June, to help mitigate impacts of new road construction in the city near the card rooms and the impacts of full implementation of new utility taxes. Lewis also said that the agreements would establish additional payments if a card room closes, in an attempt to incentivize both remaining open. Members of the council discussed how to define when a card room had reached the point of closure, and if a set number of hours in operation per week should be the criteria. In the end, it was determined that closure was established when a card room filed a notice of closure with the state. Assuming that gross revenues for the card rooms average $850,000 per month in 2018, Lewis said that the effective tax rate of the structure would be 6.8 percent, and amount to an approximately 32 to 35 percent tax reduction. This means that over the course of 2018, each card room would save $360,000. The owners of the two remaining La Center card rooms have asked members of the City Council to cut the city’s gambling tax in half for the final three months of 2017. 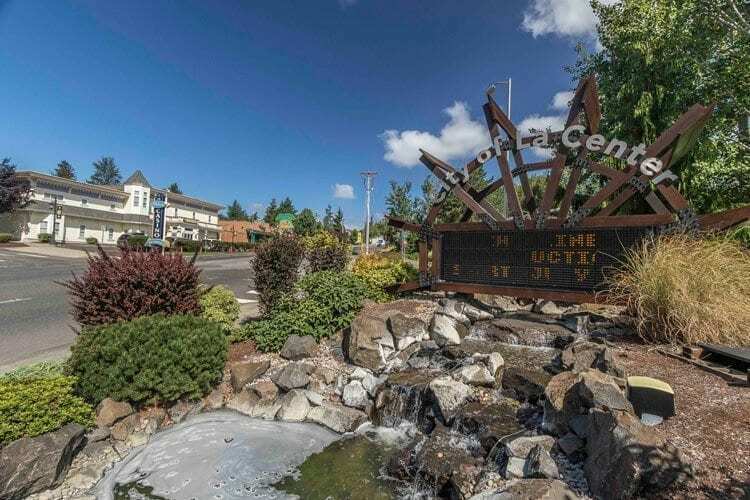 Should the plan be enacted, revenues to the city of La Center are expected to be $1,329,000, which will result in an estimated $243,000 increase to the planned deficit. The current budget deficit is $390,000, and the new tax structure would increase that to $633,000. If the changes to the tax structure are approved, they will affect 2018 only, the agreements sunset at the end of 2018 and a new agreement or permanent fix would have to be found for 2019 and forward. Members of the council voiced apparent approval of the proposed changes to the tax code. Mayor Greg Thornton noted that if the changes were approved, they would still be a temporary fix to an ongoing problem, and stated that he would want to establish a permanent solution before the end of 2018. Others did not see any other way to help the card rooms and keep revenues flowing for the city. “I don’t see we have a whole lot of choice here,” Council Member Randy Williams said. The council and staff recommendations will appear before the city council at the next city council meeting where it will be put to a vote for approval. The city council meeting is scheduled for Wed., Jan. 24 at 6 p.m. at the La Center City Hall. Council meetings are open to the public, and the public will have the opportunity to comment on the issue before the council.